Tera IT Solution GmbH is your competent partner for IT-infrastructures. 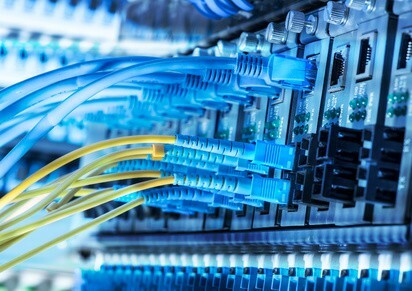 It is our goal to find and implement the ideal network planing and cabling for your buildings and data centers - all tailored to your needs. You can count on our competent team at any time. We're very experienced and highly motivated to give it our all in every project. We're operating in Germany and all of Europe, offering our whole package of services, and standing reliably by your side. We're your companions from the beginning of your projects until their completion and we proud ourselves on being open to your questions and wishes at any given time. Thanks to our high flexibility and our innovative approach, we're open for any change of plan, no matter the status of the project. In all this, your demands and claims have our highest priority. Tera IT Solution GmbH is only satisfied when you're satisfied.